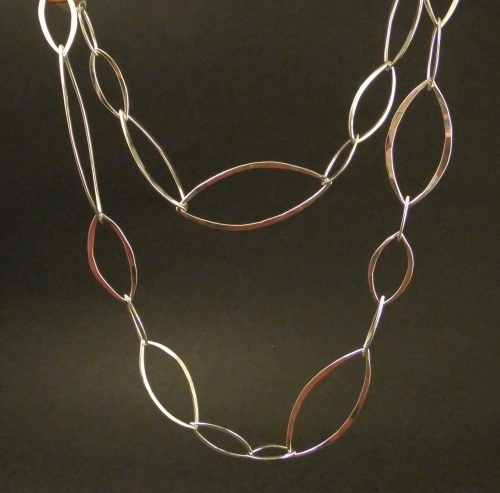 Another favorite, a lovely sterling neckchain made with random sized almond shaped links. It's a long chain, great to wear with anything. Just under 27" long with an almond-shaped lobster clasp. Size: 27" long by 1"